Cherish you colour and maintain tonal vibrancy for up to 40 consecutive washes, when using with True Lasting Colour Conditioner. Infused with ultra-sheer micro-shine oils, this nourishing formula protects and imparts surreal shimmer. Apply as per normal shampoo. 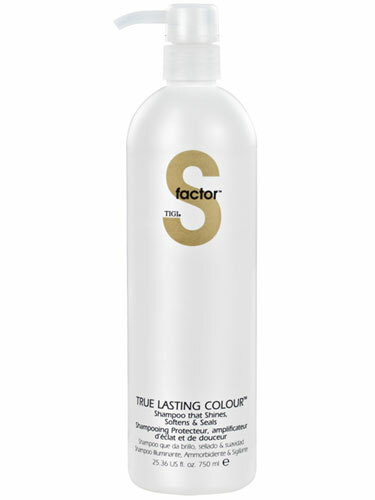 For best results follow with S Factor True Lasting Colour Conditioner.